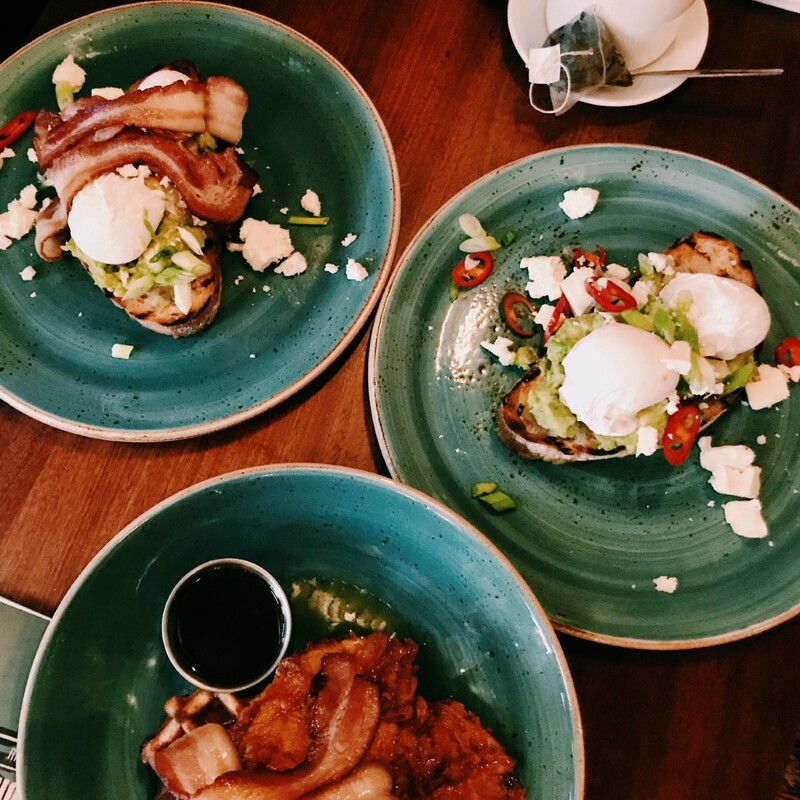 Pancake day maybe done and dusted for this year, but pancake stacks has somewhat evolved in recent years in restaurants, cafes and quaint little independent finds, making the perfect brunch (or lunch) treat. 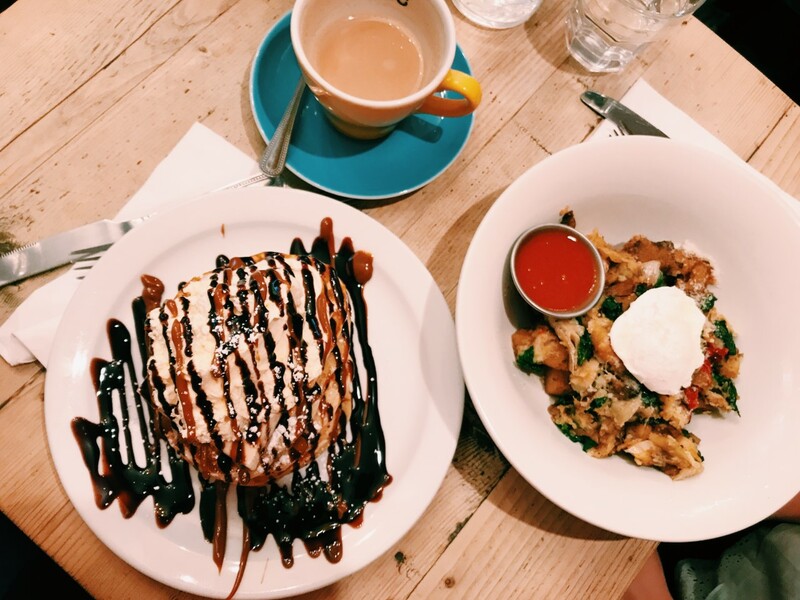 As someone who eats out a lot, I’ve eaten my fair share of pancakes in my time and have my firm favourites that I always go back to time after time! Sweet or savoury, these guys all have something different and unique to offer to change your breakfast from boring to a bang. 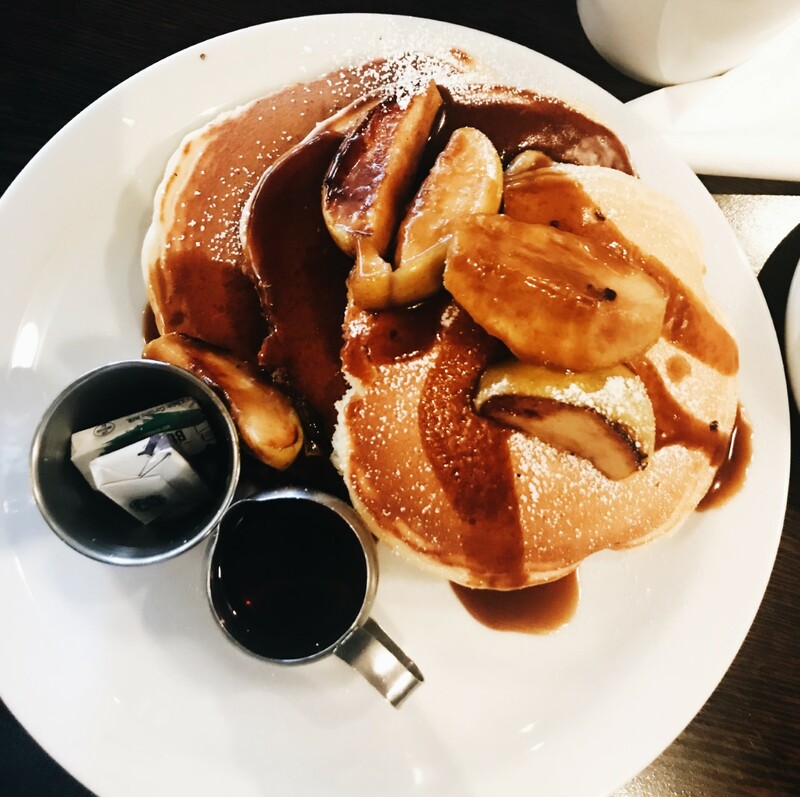 So here’s my top 5 rated pancake stacks you just have to try! The Breakfast Club Oh how I wish there was a Breakfast Club up north. This was the first time I was completely defeated by a meal before I was even halfway through, but completely gutted because it was so incredible. The BC is my dream. Edgy prints and oddly matched crockery surrounded by cut outs of magazines and rather naughty post-it notes, this is the instagrammable dream. The prices were also pretty reasonable to say it was the big LDN too. Let me tell you, I dream about their pancakes pretty regularly. Moose Coffee Every person who comes to play with me in Manchester will probably end up taking a trip to Moose. I can’t praise this place enough. The fluffiest, dreamiest, biggest pancakes known to man will tingle your taste bud sensations and probably leave you absolutely stuffed. The pretty fairy lights and ‘moose’ interior give it a warm homely feel when you want to hide away from that horrid Northern weather, or on summer days you can sit outside and take in the atmosphere from the bustling Manchester streets. Note though, the place itself is pretty small and there is ALWAYS a queue. It’s definitely worth the wait. Alabama’s All American Eatery Celebrating their 2nd birthday this week, Alabamas is a place I’ve wanted to try for a while and it did not disappoint! Very much BC vibed, this cute NQ cafe had plates to die for. What I loved about the pancakes here were they were all completely irregular and misshaped, freshly off the grill. It gave a homely vibe and emphasised that everything was freshly cooked and homemade. I went for the banoffee stack (without pecans) which was packed with caramel sauce and chantilly cream and it was i n c r e d i b l e. Their waffles looked and smelt pretty divine too. Bills If you’re looking for a branch chained restaurant anywhere in the country to get your pancake fix, then you have to go to Bills. 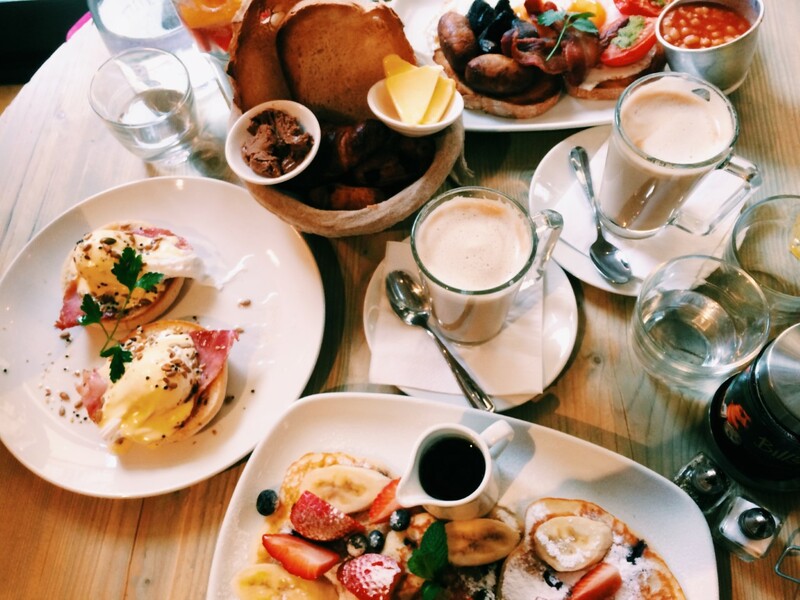 Whilst their pancake menu isn’t the biggest, they’re definitely big on taste and super cheap too! 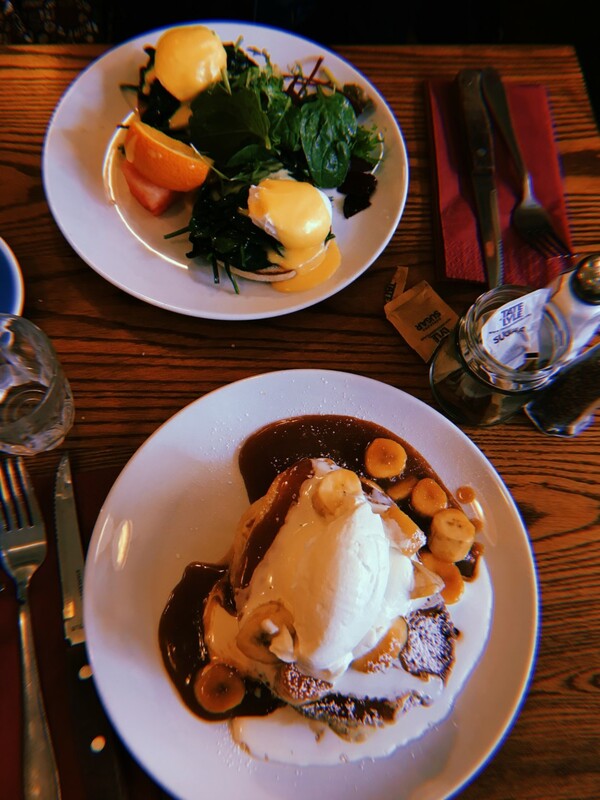 Bills also has a fab breakfast menu if you’re getting a bit sick of pancakes (I mean, only if you’re mad) so make sure to check that out too. Okay, so not pancakes, but fried chicken waffles from Gorilla are actually a hangover cure from heaven. Screw the takeaway, these bad boys, whilst they should be probably only kept as a treat, they shouldn’t definitely be missed. But back to the pancake game, Gorilla also do incredible buttermilk pancakes as well. From morning to evening to night, Gorilla is a bustling little place to feed you and keep you entertained (and have a little boogie too). Next Post Good for the Soul vs. Body?